★★★Connecting cables and mounting accessories will be shipped separately, for free. Energy efficient and environmental friendly. Save more than 50% on the electricity bill. Double-side V-shape design, 270 degree beam angle, suitable for cooler doors illumination. High brightness, CRI over 80, cool white 6000k. Instant on, NO stroboflash and noise. 24 months warranty period. We have warehouse in Califonia, which can provide fast warranty service. 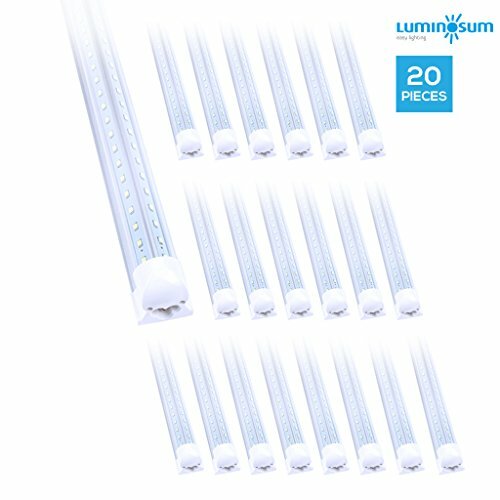 If you have any questions about this product by LUMINOSUM, contact us by completing and submitting the form below. If you are looking for a specif part number, please include it with your message.